Britain’s bees are in decline. We’re playing our part to help secure their future. Bees play an extremely important role in pollinating our food and plants. Unfortunately Britain’s bees are in decline, and right now they need our help! The good news is that by purchasing Twelve Keys you can help secure their future. For every 5,000 bottles sold, Twelve Keys will invest in a new beehive, housing up to 60,000 bees. Twelve Keys is infused with wildflower honey harvested from our very own hives in Norfolk. Our organic honey is simply sublime, created by nature’s alchemists who buzz from flower to flower collecting pollen from our pesticide-free wildflower meadow. 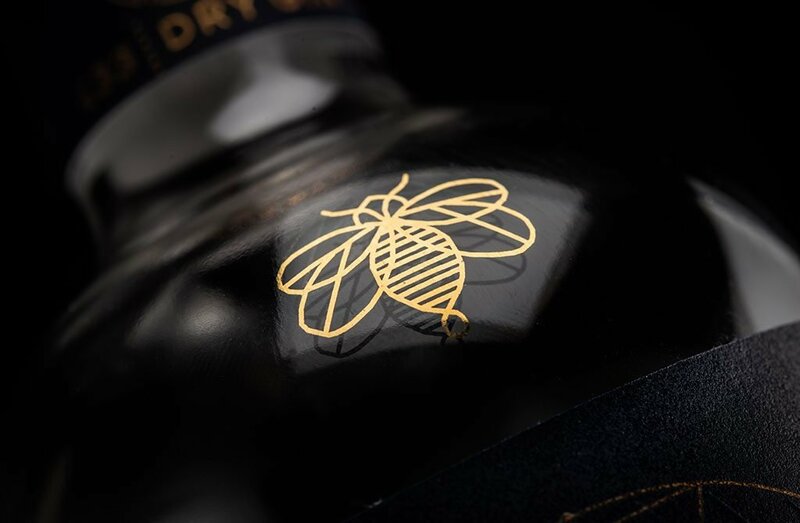 One of twelve carefully chosen botanicals, our lively, complex honey imparts a warm, subtle yet decadent note to our distinct London Dry Gin. Bees, like all wildlife, need food and shelter to be successful. Beauty and colour abound between April and September among a rainbow of annuals and wildflowers on founder Matthew Clifford’s farm in Norfolk. The bees from our hives love to frequent this plentiful food source, which includes yarrow, meadow buttercup, yellow rattle, cornfield annuals, birdsfoot trefoil, lady’s bedstraw, cowslip, ox-eye daisy, tufted vetch, chicory, and bladder campion. From the tiniest of insects to huge bumblebees, from butterflies to birds and field mice, Matt’s meadow has seen an increase in a wide range of wildlife. Keen to create a sustainable environment for them to thrive, he manages the land traditionally to encourage habitat diversity. In late July the hay cut is done one patch at a time by traditional hand scything, allowing pollinators and wildlife time to move on. A vintage Massey 35 tractor is also used with a hay bob for tedding (lifting and drying) the hay, which in turn helps the seeds to spread.